One of life's simple luxuries has to be a mug of rich and creamy hot chocolate. But, when made with milk, it can be frighteningly high in calories. If you can't resist the offerings in some of the popular coffee shop chains such as Costa or Starbucks for example, you could be consuming 700 calories or more! If you're watching your weight, there are several low calorie hot chocolate drinks you can enjoy without worrying about the calories. The downside is the sometimes scarily long list of ingredients. Plus most also contain sugar and/or sweeteners. 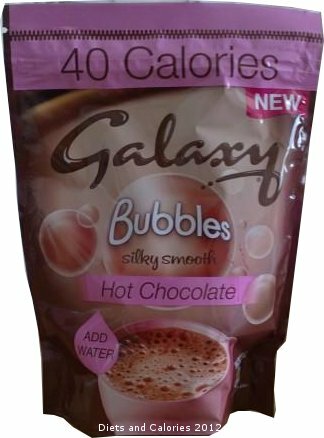 To help you see what's available in the low calorie range, here's a list of 12 of the lowest calorie hot chocolate drinks sold in UK supermarkets and grocery outlets. 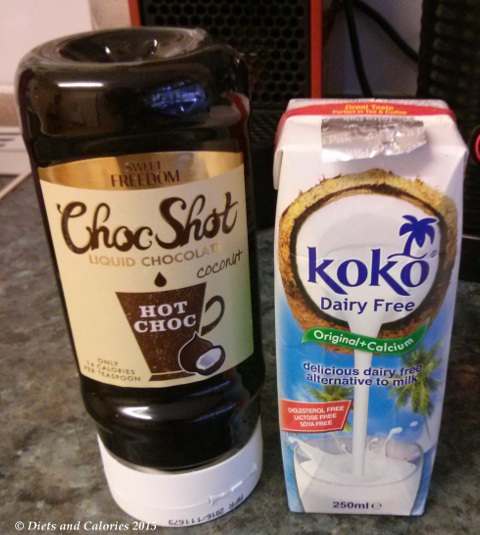 A low calorie instant Fairtrade hot chocolate drink. Contains less than 40 calories per 11g serving when made with hot water. Sold in a 250g jar. Whey Powder (Cows' Milk), Fat Reduced Cocoa Powder (21%), Glucose Syrup, Skimmed Cows' Milk Powder, Polydextrose, Chocolate Pieces (7%) (Cocoa Mass, Sugar, Cocoa Butter, Emulsifier: Sunflower Lecithin), Coconut Oil, Whole Cows' Milk Solids, Thickener: Carrageenan; Salt, Lactose (Cows' Milk), Flavourings, Stabilisers: Polyphosphates, Sodium Phosphate, Potassium Phosphate; Milk Protein Concentrate (Cows' Milk), Sweetener: Sucralose; Anti Caking Agent: Calcium Phosphate; Emulsifiers: Mono- and Diacetyl Tartaric Acid Esters of Mono- and Diglycerides of Fatty Acids, Mono- and Diglycerides of Fatty Acids. Instant hot chocolate drinks made with sugar and sweeteners. Calories range between 37-44 per 11g of powder drink when made up with 200ml water. Sold in 11g sachets or 220g jars (not all flavours sold in jars). Widely available in supermarkets and smaller grocery outlets. Some flavours may be limited editions. Flavours include: Belgian Choc, Belgian Choc Coconut, Belgian Choc Hazelnut, Belgian Choc Orange, Belgian Choc Mint, Belgian Choc White Choc, Belgian Choc Toffee, Belgian Choc, Caramel, Belgian Choc Turkish Delight, Belgian Choc Vanilla, Belgian Choc Butterscotch. Add hot water to make a creamy, rich and full of flavour chocolate drink with a bubbly, frothy top. Sold in 10g sticks and 200g pouches. Available in larger supermarkets. 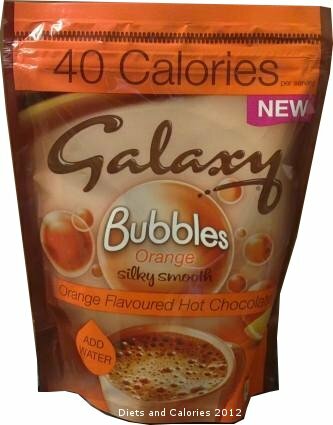 Flavours include: Silky Smooth Hot Chocolate and Silky Smooth Orange Flavoured Hot Chocolate. UPDATE: August 2014: Unfortunately, Galaxy have discontinued this range. I am extremely disappointed in this as it was my second favourite. Instead, there is Galaxy Lightstyle reviewed in this post. In my opinion, it's not nearly as nice as the Bubbles. 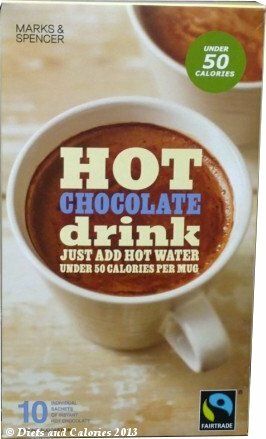 Low calorie instant hot chocolate drinks made with real chocolate for a deliciously smooth drink. Contains sugars and sweeteners, natural flavours, no hydrogenated vegetable oils and is suitable for vegetarians. Mix 11g with 200ml hot water to make a drink. Flavours include: Hot Chocolate, Hot Chocolate with Caramel, Mint. Sold in 11g sachets, 100g pouch, 220g jars and individual cups. 1 Weight Watchers ProPoint. New Weight Watchers Hot Chocolate Drink sold in a 220g plastic jar. Contains 1 ProPoint per serving has 40 calories and is suitable for vegetarians. Whey Permeate Powder (Milk), Fat Reduced Cocoa Powder (25%), Skimmed Milk Powder, Maltodextrin, Dried Glucose Syrup, Natural Flavourings, Coconut Oil, Stabilisers (Guar Gum, Carboxymethylcellulose, Disodium Phosphate), Plain Chocolate Flakes* (2%) (Sugar, Cocoa Mass, Cocoa Powder), Anti-Caking Agent (Silicon Dioxide), Salt, Sweetener (Aspartame**), Chocolate contains 48% Cocoa Solids, **Contains a source of Phenylalanine. 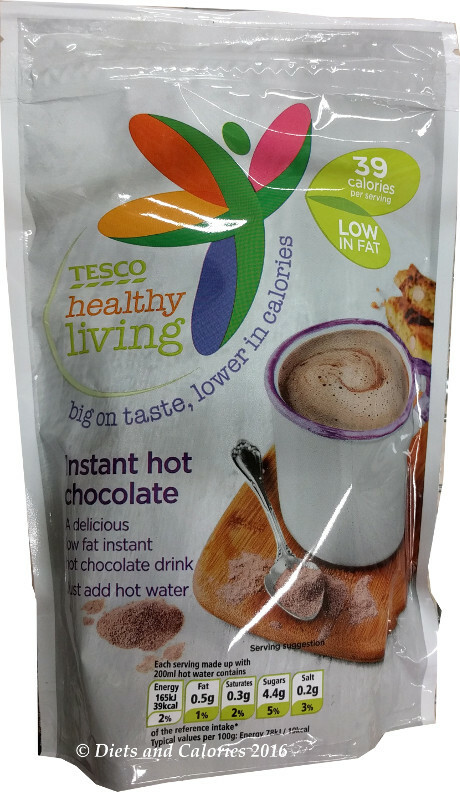 Instant low calorie hot chocolate drinks made with Fairtrade cocoa and sweetened with sugar and sweeteners. Sold in 11g sachets, multipacks of 10 x 11g sachets and 220g jars. Flavours include: Dark Chocolate, Milk Chocolate, Chocolate Fudge, Choca Mocha, Hazelnut and Caramel. Low calorie instant hot chocolate drink with sugars and sweetener. Whey Permeate Powder (Milk), Dried Glucose Syrup, Fat Reduced Cocoa Powder (21%), Dried Skimmed Milk, Maltodextrin, Coconut Oil, Flavourings (Milk), Salt, Stabilisers (Guar Gum, Carboxymethylcellulose, Disodium Phosphate), Anti-caking Agent (Silicon Dioxide), Sweetener (Sucralose). Low calorie instant hot chocolate drink with sugar and sweeteners. At least 58% less fat than standard Bellarom instant hot chocolate. Sold in a 250g plastic jar. 40 calories per 11g serving made with 200ml hot water. 30% fat reduced cocoa powder, whey powder (milk), glucose syrup, polydextrose, 7% chocolate powder (sugar, cocoa mass, whole milk powder, cocoa butter, skimmed milk powder), sugar, coconut oil, skimmed milk powder, thickeners: xanthan gum, carageenan; milk protein, salt sweeteners: aspartame, acesulfame K; stabiliser: potassium phosphates; anti-caking agent: silicon dioxide. Contains a source of phenylalanine. Suitable for vegetarians. ASDA Light Instant hot chocolate is sold in a 300g jar. When made up with 11g of powder mixed with hot water, each drink has 42 calories and just under 1 teaspoon of sugar. Whey Powder (from Milk) , Glucose Syrup , Fat Reduced Cocoa Powder (21%) , Skimmed Milk Powder , Coconut Fat , Lactose (from Milk) , Maltodextrin , Thickener (Carrageenan) , Salt , Flavourings , Stabilisers (Sodium Phosphates, Potassium Phosphates, Polyphosphates) , Milk Protein , Anti-Caking Agent (Calcium Phosphates) , Sweetener (Sucralose) , Emulsifiers (Mono- and Diacetyl Tartaric Acid Esters of Mono- and Diglycerides of Fatty Acids, Mono- and Diglycerides of Fatty Acids). 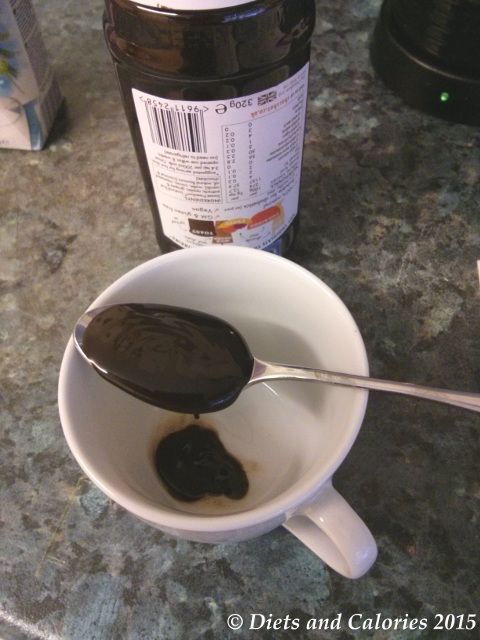 A liquid chocolate that can be added to water or milk to make a hot chocolate drink. Add 3-4 teaspoons. Each teaspoon has 13.9 calories. Can also be used as a topping for toast, pancakes or whatever you choose! Dairy free, gluten free, no additives or preservatives. Suitable for vegans. M&S Hot Chocolate drink is made with Fairtrade fat reduced cocoa powder (32%) and is sold in boxes of 10 individual sachets. Just add freshly boiled water and stir. This is the luxurious range from Options. 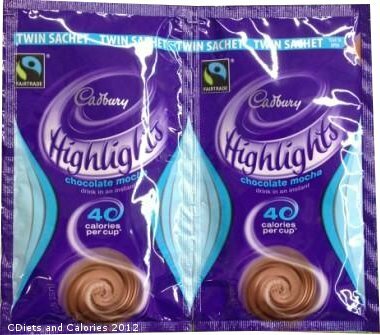 The sachets are bigger at 16g and the calories for each serving range between 60 – 61. Sold in 16g sticks or 224g jars. Note some flavours are limited editions and not all varieties are sold in jars. Flavours include: Rich Belgian Chocolate Devilishly Dark, Creamy Belgian Chocolate Fudge, Scrumptious Belgian Chocolate Banoffee, Dreamy Belgian Chocolate, Heavenly Belgian Chocolate Brownie, Luxurious Belgian Chocolate Cherry, Warming Belgian Chocolate Winter Spice. Nutritiously Delicious Ovaltine. 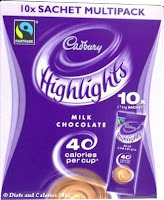 Add hot water & enjoy a deliciously soothing chocolatey drink as you unwind anytime of the day! Ovaltine light - contains at least 30% less fat than standard malted drinks. Available in a 300g jar. I know it's subjective, but it would be really helpful to have your comments on what they taste like! I've not tried many of these, but I love ovaltine light and drink it often as a bedtime drink. I didn't like the choc-shot thing, threw it away after a couple of attempts, it was a while ago, and I can't recall exactly what I didn't like about it. 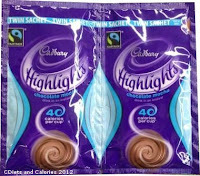 Cannot get jars of Options/Highlights; one serving sachets too expensive! I agree. The sachets are often on multi-buy offers and I only buy the jars when they're on offer too! Asda often have the jars on offer.